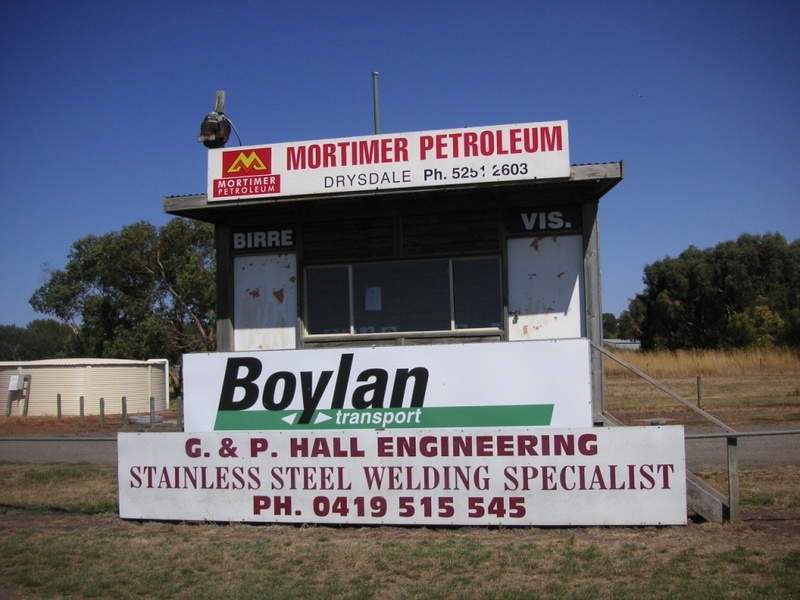 Scoreboard Pressure hasn’t exactly timed its visits to Birregurra, in south-west Victoria, very well. 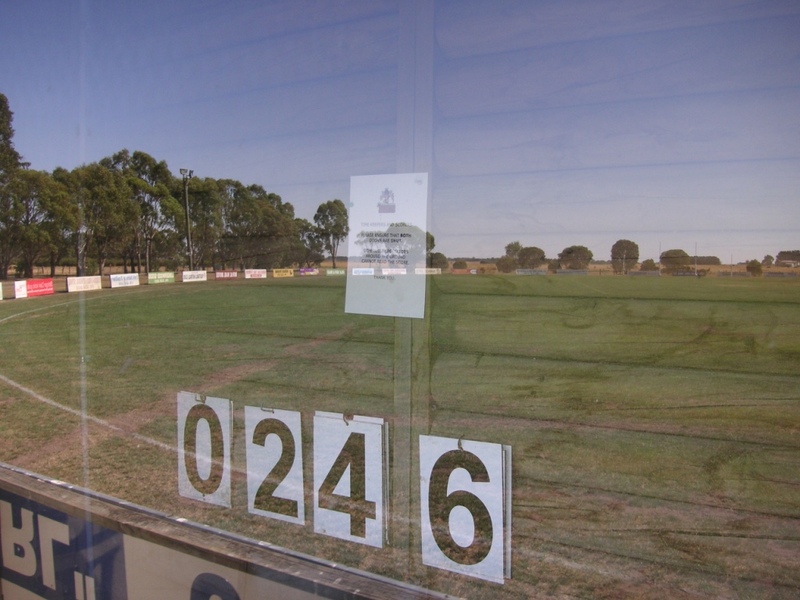 The first visit, in September 2010, was just after the local footy season had finished. (The Saints lost the Grand Final by two points after being 38 points down in the last quarter.) The second visit, in March 2014, was after the last game of the cricket season. So, not exactly a lot of action on the ground. But the cricketers had left their final score for all to see. 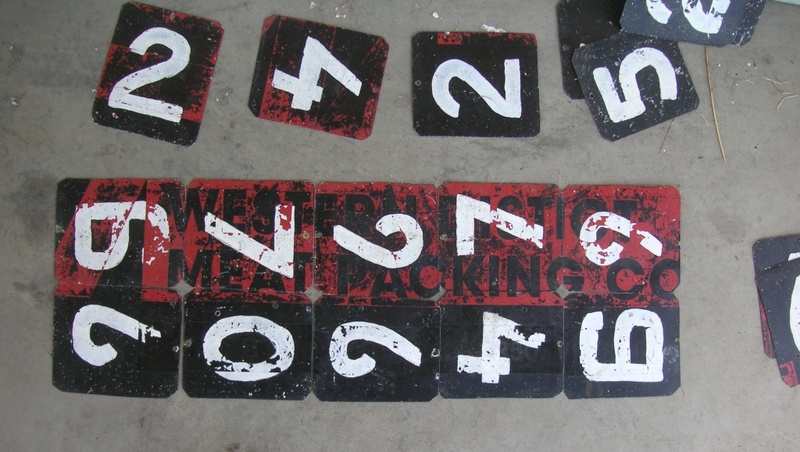 Home-made numbers and old advertising. And the red, black and white of the Birregurra Saints. We were quite taken by the sign pinned on the back of the wall of the scoreboard room, advising the timekeepers and scorers to leave the two doors closed – otherwise people wouldn’t be able to see the scores. 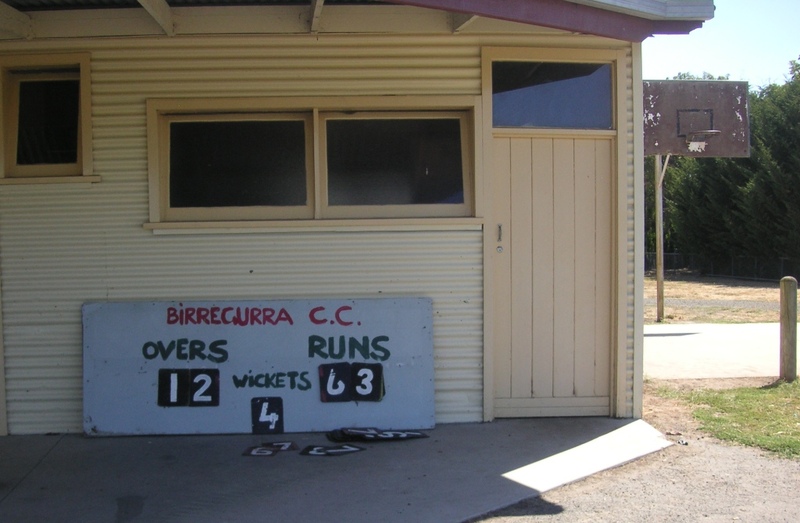 The Birregurra Football Club was formed just over 130 years ago. Visit the township of Birregurra. LOVE THE NUMBERS. Its all about the numeral typography for me. Bless you Vin.